Reliance Jio Launch: Here is Everything You Wanted to Know! Reliance Jio Launch Event: Here is Everything You Wanted To Know! Reliance Jio has been giving hints of rollout of 4G services in the country and just as we had confirmed about ten days back, Reliance Jio has launched its 4G services for its employees. 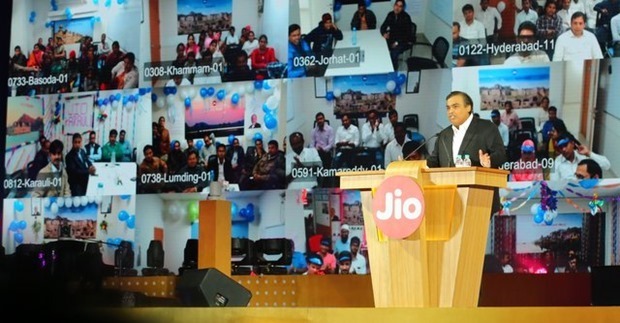 At a huge glittering event organised at the Reliance Corporate Park, Reliance Industries Limited Chairman and Managing Director, Mukesh Ambani, flagged off the launch ceremony with virtual attendance from all Reliance offices. 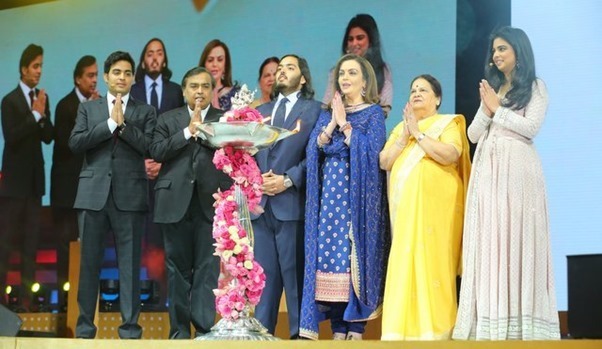 Keeping the ceremony just a day before Dhirubhai Ambani’s, Founder Reliance Industries, 83rd birth anniversary, the launch started with Ambani family, including Kokilaben Ambani and Neeta Ambani, lighting the lamps on the stage. Post the inauguration ceremony, there were performances from known celebrities and it could be seen as an occasion of great importance. Manish Paul was hosting the ceremony and kept the excitement alive throughout the event by involving all the attendees in the dance performances. A.R. Rehman performed at the event with his extremely hit songs from the movies Taal, and Jai ho etc. Shah Rukh Khan, who has been chosen as the brand ambassador of Reliance Jio, was also seen at the event shaking a leg to some of the songs from his movies with his signature moves and dialogues. He also created a light atmosphere around by cracking a few witty one liners and jokes on telecoms and their services. Amitabh Bachchan, Priyanka Chopra, Ranveer Singh, Farhan Akhtar and John Abraham, all congratulated the next Ambani generation, twins Isha Ambani and Akash Ambani, and Anant Ambani on the launch of Reliance Jio 4G services in the country. They all considered it as an important milestone towards Digital India and hope Reliance achieves the success it deserves. Talking about Jio, he said, “The world is at the beginning of a digital revolution. Anything and everything that can go digital, is going digital at an exponential rate. 2016 is a milestone year in Reliance’s history. At Jamnagar, the jewel in the crown of Reliance, we operationalize investments of over Rs. 100,000 Crores. We wish all our colleagues at Jamnagar a safe, successful and flawless start. At Jio we have the opportunity to win the hearts of India and Indians. As a result we will achieve in the next two years what we have achieved in the last thirty seven years.” 4G services will be rolled out to rest of the country in March-April 2016, which is not very far from now. There were promotional and informational videos played after Mukesh Ambani’s speech to show the viewers and guests about Reliance Jio and its services. The video talked about Jio TV Service on which subscribers will be able to see HD Channels, pause and play live TV channels. TV can be seen on any device, including smartphones and tablets, and there is integration on the application across different devices, supporting multiple languages. It will also allow you to change the channel by just saying the name of the channel, without having to use the remote. It will provide last 7-day catch up for you to get a hold of your favourite shows without having to worry about future episodes. Jio on demand will show you the latest movies, Indian and international, for you to sit back and enjoy the TV services. Jio Media share will allow you to compile all documents and media files at one place for you. These files can also be viewed on your television, which means saying goodbye to other similar services. Reliance Jio will also bring exceptionally high speed internet of upto 1GBPS to your homes, through a simple plug and play device. The high speed internet will enable you to have crisp and clear conversations and video calls with your friends and family at any time, even supported on smart televisions and of course, smartphones and tablets. The list of services being offered with the fast internet are very elaborate and show that Reliance has worked extremely hard to launch plethora of features. Most of these services go directly heads-on with similar services being offered by smart TV manufacturers, however since everything is at one place, our work has been very simple. We really hope Reliance gives good competition to other telecoms like Airtel and Vodafone who already have their services in India. …so how much will this 1 GBPS internet COST???!! !